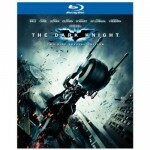 The Dark Knight (with Digital Copy and BD Live) is holding its own as the top selling Blu-ray Disc on Amazon. The hi-def disc is second only to the standard-definition DVD release of Wall-E, which currently leads the Top 100 movie and TV show discs selling on Amazon.com. While The Dark Knight hasn’t even been released yet (it has a street date of Dec. 9), its number two status is surely an indicator of the growth of Blu-ray Disc media. However, of the Top 100 movie/TV show discs currently being sold on Amazon, only 7 of those discs are Blu-ray. The second most popular Blu-ray Disc is no surprise: Wall-E (Three Disc Special Edition) is currently in second place behind The Dark Knight. Coming in third is Hancock (Unrated), and Iron Man (Ultimate Two-Disc Edition) is still at the top of the charts as the fourth most selling BD disc. Indiana Jones and the Kingdom of the Crystal Skull follows Iron Man at number five. Kung Fu Panda and Tropic Thunder come in sixth and seventh in Blu-ray sales. It’s interesting to note there are three HD DVD titles still in the Top 100. Those titles include I Am Legend, The Bourne Trilogy, and Planet Earth – The Complete BBC Series. Amazon.com sales stats provided by eproductwars.com. It would probably be more accurate to use the terms “sales trend” or “most popular” when referring to the Amazon best selling ranking. Unless Amazon’s “best selling” is tweaked it seems fair to go by this ranking as authentic. It also seems fair to imagine HD DVD sales could peak when blow-outs on certain titles are offered. Sorry for the double post, finger trouble meant I got cut off there. Anyway, as a factual article, this one was a big fail, but you can console yourself with the fact that as an example of how >not< to do journalism it’s a roaring success. Umm, Eproductwars ranks are broken, and have been since they changed it to Blu Ray vs DVD when HD DVD died.